K’NEX Building 100-Piece Set Just $29.99! Down From $50! PLUS FREE Shipping! Check out this K’NEX Building 100-Piece Set which is on sale at Amazon for just $29.99 down from $49.99 PLUS FREE shipping! Any creation is possible with the new K’NEX budding builders tub! Aspiring K’NEX builders can choose from 100 colorful parts and pieces and 50 amazing building ideas to create everything from a fish helicopter to a robot puppy! the K’NEX budding builders tub offers endless possibilities for a child’s imagination to grow! 100 COLORFUL PIECES – The K’NEX Budding Builders Building Set contains 100 large parts with vibrant colors and premium-quality. 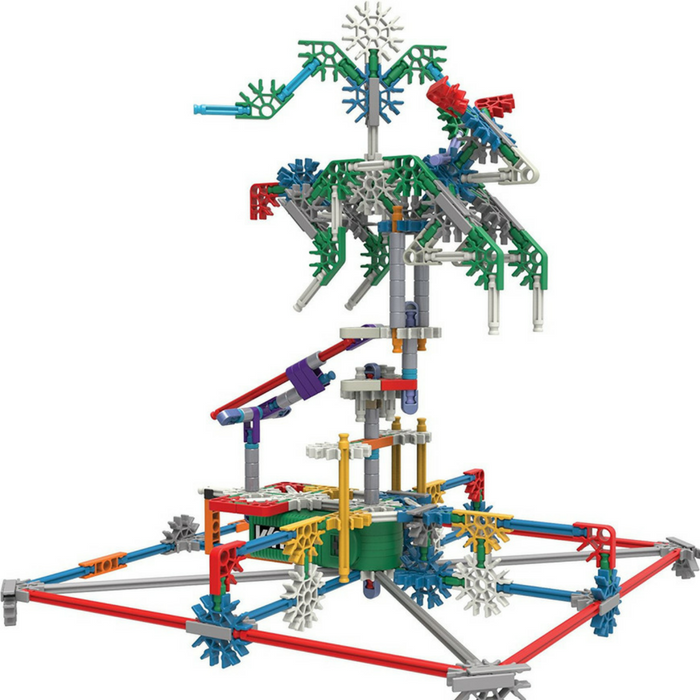 The package includes K’NEX rods and connectors for builders to create amazing constructions that showcase their creativity! 50 BUILDING IDEAS – This building set will let your children create a wide array of structures, from basic shapes to advanced designs. This set includes 50 building ideas for different skill levels. REUSABLE STORAGE TUB – This building set comes in a plastic tub for convenient storage of built models and loose pieces. Pack the colorful pieces into the container and bring it with you on family trips! INSTRUCTION SHEET INCLUDED – Let your kid enjoy building a variety of models with this building set! It comes with an instruction sheet that shows 50 suggested building models. STEAMagination™ – It’s the connection of STEAM (science, technology, engineering, arts & math) with a preschooler’s natural curiosity and creativity and it powers the fun of each and every KID K’NEX® building set. Building with KID K’NEX puts preschoolers on a path towards a fundamental understanding of STEAM/STEM subjects. 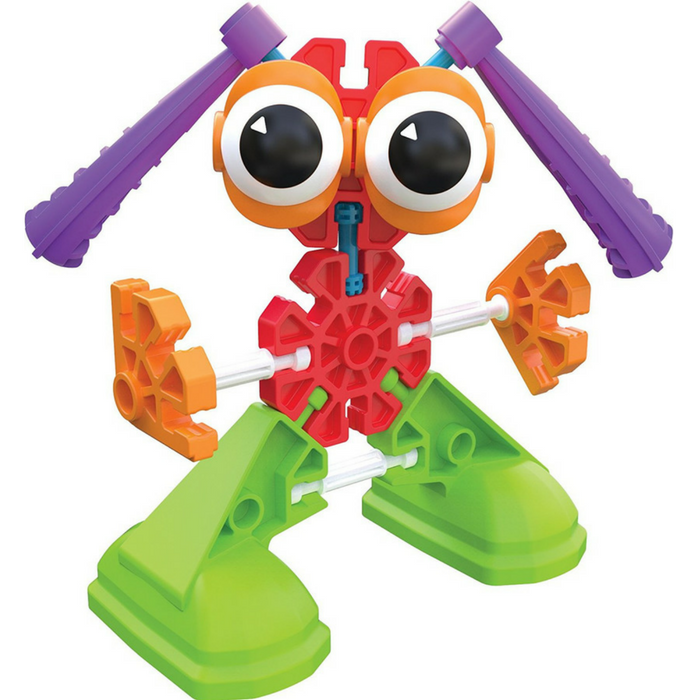 DEVELOPMENTAL BENEFITS – KID K’NEX supports key areas of a preschooler’s developmental growth. As they click the different parts together and discover how the building system works, they’re strengthening hand-eye coordination, fine motor skills, problem-solving skills, spatial awareness and exercising their imagination! COMMITMENT TO QUALITY – KID K’NEX rods and connectors are responsibly made in America at a landfill-free, zero-waste green manufacturing facility in Hatfield, Pennsylvania. We test to the strictest quality and safety standards, ensuring that your child has a successful, trouble-free building experience. K’Nex Motorized 529-Piece Building Set Just $22.95! Down From $60! Hop over to Amazon to get this K’Nex Motorized 529-Piece Building Set for just $22.95 down from $59.99 PLUS FREE shipping with Amazon Prime or for orders $25 and above! Power up and create moving wow with the K’NEX imagine power & play 50 23012 motorized building set. This set brings your models to life with a motor and over 525 classic scale K’NEX rods and connectors to build and move anything you can imagine. Using the included step-by-step color-coded instructions to build 50 different models. Half of them include the motor for life-like movement! models range in difficulty so any level Builder can succeed in creating a carousel, rescue chopper, basketball game and more! and once the Builder is done, use the re-usable storage container for builds in progress, or to hold the K’NEX rods and connectors. Most models can be built one at a time. K’NEX Revenge Roller Coaster Building Just $29.99! Down From $50! PLUS FREE Shipping! 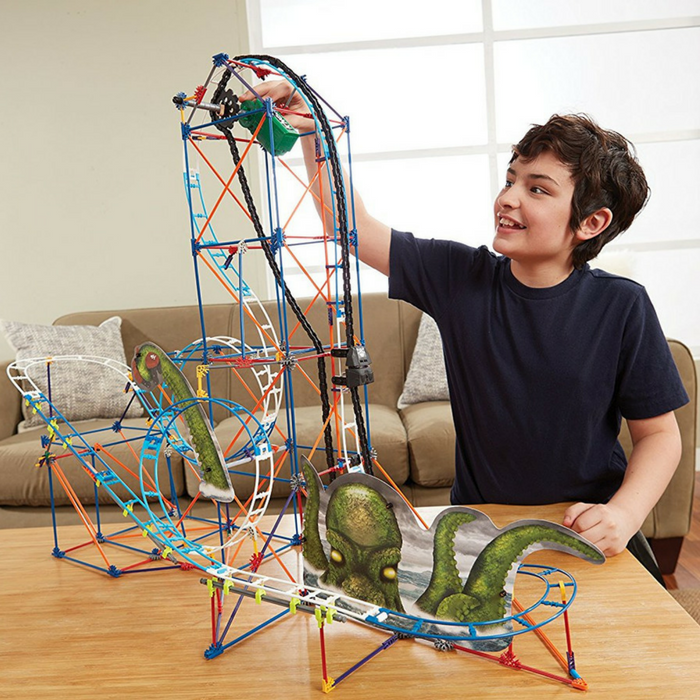 Hurry over to Amazon to score this K’NEX Revenge Roller Coaster Building for just $29.99 down from $49.99 PLUS FREE shipping! This Building Set comes with 568 parts and pieces, including a motor and chain lift with a coaster car. All of the pieces can be clicked together to create a variety of 3D configurations. With the Kraken’s Revenge Roller Coaster Building Set, kids can create a motorized, moving roller coaster that stands up to 2.7 feet tall Easy-to-follow, step-by-step building instructions are included with the package. Unleash your kids’ creativity as they make their own designs for open-ended fun! This building set is recommended for children ages 9 and up. Help your kids develop a better understanding of STEAM (science, technology, engineering, arts, and math) with this building toy. As they click the parts together and discover how the building system works, they strengthen their hand-eye coordination, fine motor and problem-solving skills, and spatial awareness. Set comes with 568 classic K’NEX pieces to build your very own coaster. Set includes a battery-powered motor that gives life to the K’NEX pieces. Requires 2 “AA” batteries, not included. STEAMagination – It’s the connection of STEAM (science, technology, engineering, arts, & math) with a child’s curiosity and creativity. It powers the fun of each K’NEX set. Broken Part? missing Part? call us at 1-800-kid-knex. We’d be happy to help! packaging may vary.